Contributing to the needs of the Retreat Centre is a big work of evangelization. Everyone is invited to support this mission with their TIME, TALENT AND TREASSURE. Volunteers are desperately needed to run this huge institution. People who are ready to serve at the Centre for a period of one year/six months/3months are most welcome. What is required is to meet with Fr. 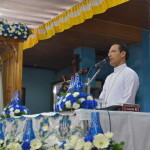 Director with a recommendation letter of the Parish Priest. 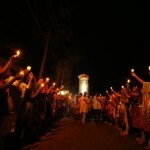 To support this mission financially is very important. The Centre is trying to arrange more accommodation facility as the number of young people to attend ABIDE is increasing, any donations to this end is most welcome. 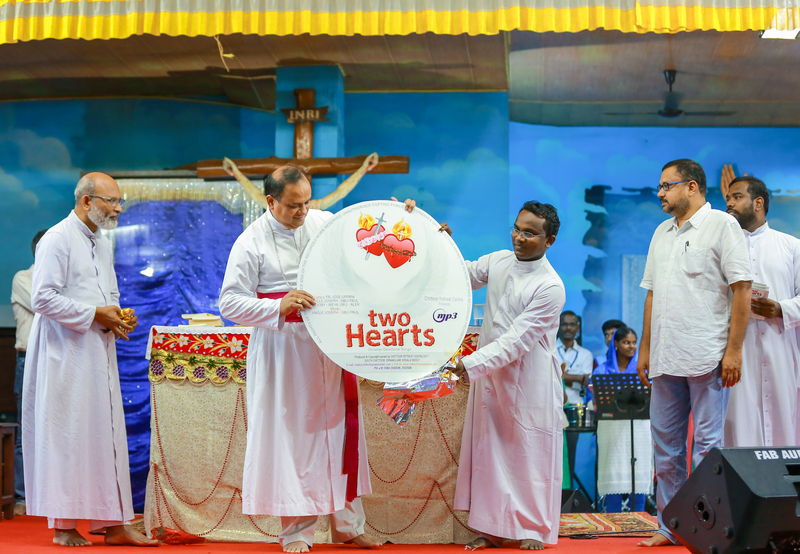 ‘Friends of Chittoor’ is an initiative undertaken by those who come forward to aid in the development of the Retreat Centre through monetary support. Which aims at expanding the accommodation facilities for the regular ABIDE Youth Retreats where in thousands of youth participate. Anyone making a monetary contribution directly contributes to the renewal of the lives of thousands of young men and women. All the prayer intentions of them are specially remembered at every Holy Eucharist celebrated and adorations at the Retreat Centre. In the lives of everyone who partakes in this ministry they testify to the truth that, “If you serve God you will receive payment” (Tobit 4:14). Chittoor Retreat Centre invites you with prayers to this blessed ministry, ‘Friends of Chittoor’. You can also help us by depositing any amount for a minimum period of 6 months, which is completely refundable but without any interest. When you need the money back you can send us a request either through a phone call or by coming to the Retreat Centre one month prior to the date on which you need the money. Your money will be refunded within one month after your request is received. Inner Healing Retreat in Malayalam on 18th January 5 pm to 23rd January 8 am. 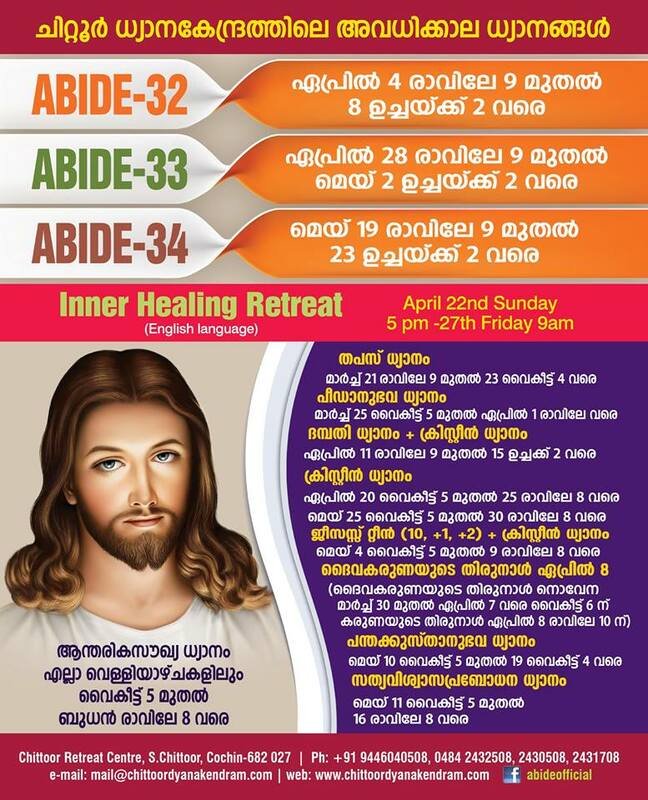 Inner Healing Retreat in Malayalam on 25th January 5 pm to 1st February 8 am. ABIDE 39( Youth Retreat) on January 24th Thursday 9 am to January 28th Monday 8 am. ABIDE POWER CONFERENCE (Follow up Programme for Youth Retreat Participants) .Let us be on fire for our Lord. February 9th 9 am to 3 pm. 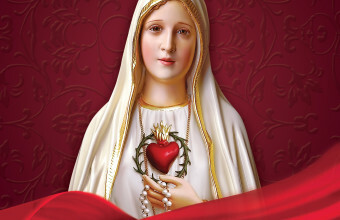 Marian Retreat February 7th Thursday 6 pm to February 10 Sunday 2 pm. 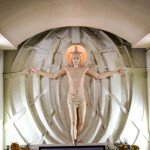 Chittoor Retreat Centre is a divinely chosen place of profound God-experience. 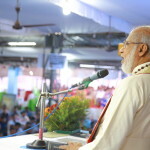 It is a spirituality centre where people find deep peace, joy and renewal of their life. Every one visit this place have immemorable experience of the Divine in the form of healing of mind and body, blessing of the family, freedom from mental depression, alcoholism, drugs, promiscuity, and all other evil habits. 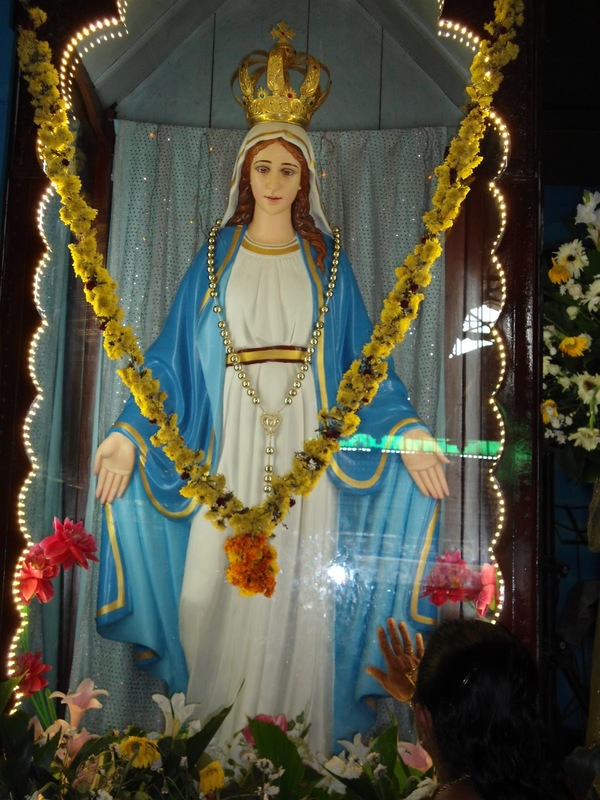 Chittoor Retreat Centre, a part of the Charismatic Movement in Kerala, is dedicated to our sweet Mother, the Blessed Virgin Mary. This Retreat Centre has transformed lives of multitudes and has left an undying spirit of ardour imprinted in their hearts to expand the Kingdom of God. In this materialistic world, where even sin comes disguised, we need the light of the Word of God to guide us along the path to eternal salvation. Being Christians we should aspire to become a saint and should spread the Word of God. This Retreat Centre helps us, together with the working of the Holy Spirit and the constant care of our Mother, to shed off our old selves and become a new person in Christ created in God’s likeness and reveals itself in the true life that is upright and holy. 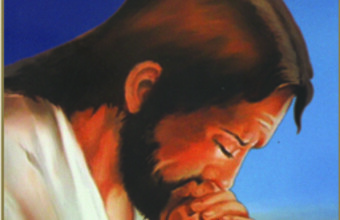 Chittoor Retreat Centre is often called ‘The Confessional House of Kerala’ because of meaningful and spirit-filled classes that are given regarding the Sacrament of Confession, which helps one to make a thorough and open confession. 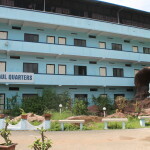 Chittoor Retreat Centre is a tranquil, serene location seated on the lap of the Queen of Arabian Sea, Kochi. 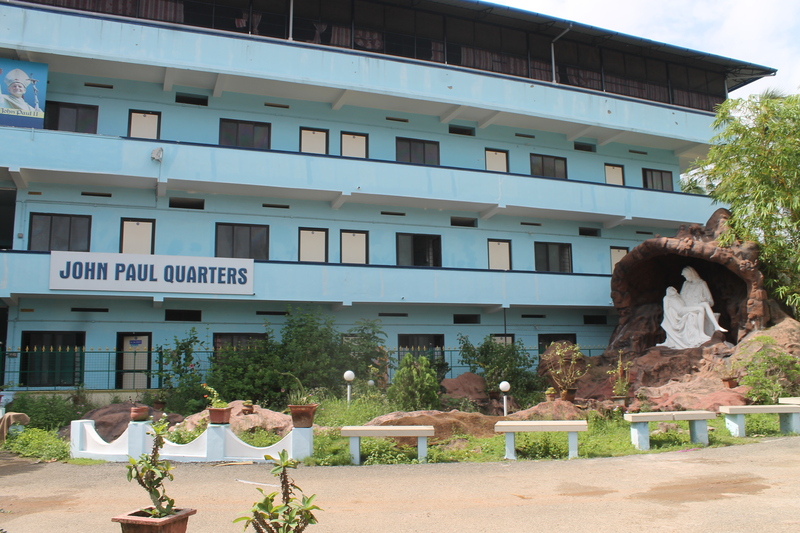 The Retreat Centre is located only at a stone’s throw from Aster Medicity. Chittoor Retreat Centre started in the 90’s as a layman’s effort during the initial period of the Charismatic Movement in Kerala. An Intercessory prayer group, which assembles once a month, put in the money to buy a piece of land in Chittoor. There, in a small thatched shed, started a prayer service under the guidance of Rev.Fr. 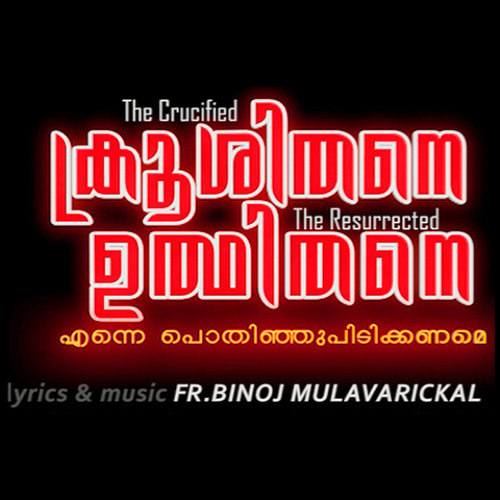 Mathew Naickamparambil V.C. 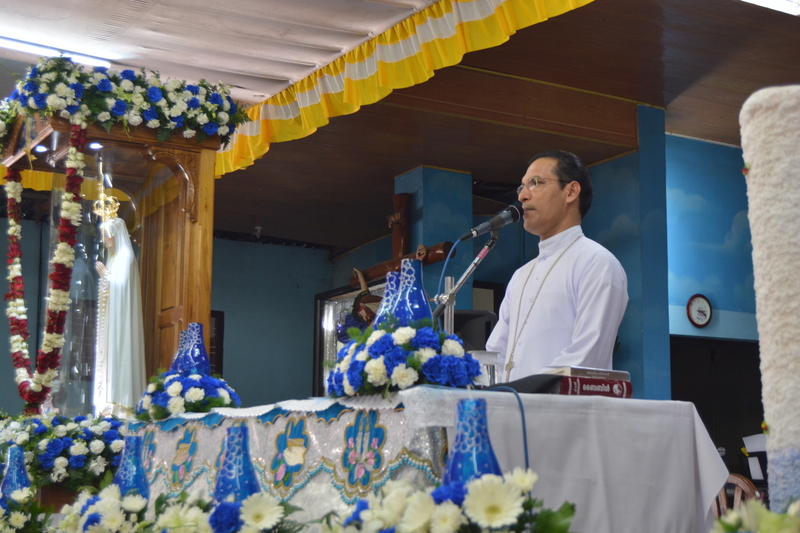 Preachers from the laity of Divine Retreat Centre held the talks and Br. 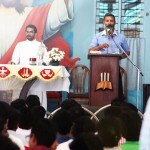 K.J Joseph conducted the programmes on Saturdays. Mr. P.P. George and Mrs. Gracy George were managing the day to day activities as the President and Treasurer of the registered Society. 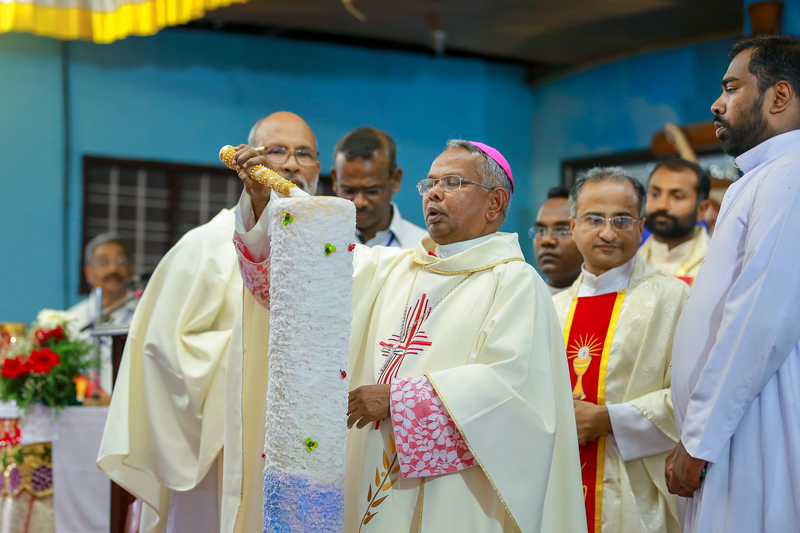 Later, the Major Archbishop of the Ernakulam-Angamaly Major Archdiocese Mar Antony Padyara, graciously took over and nurtured the retreat centre to develop under his ecclesiastical guidance and supervision. Bp. 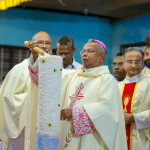 Jacob Manathodath, who was the auxiliary bishop of Ernakulum-Ankamali diocese during that time, pledged a very significant role. Fr. 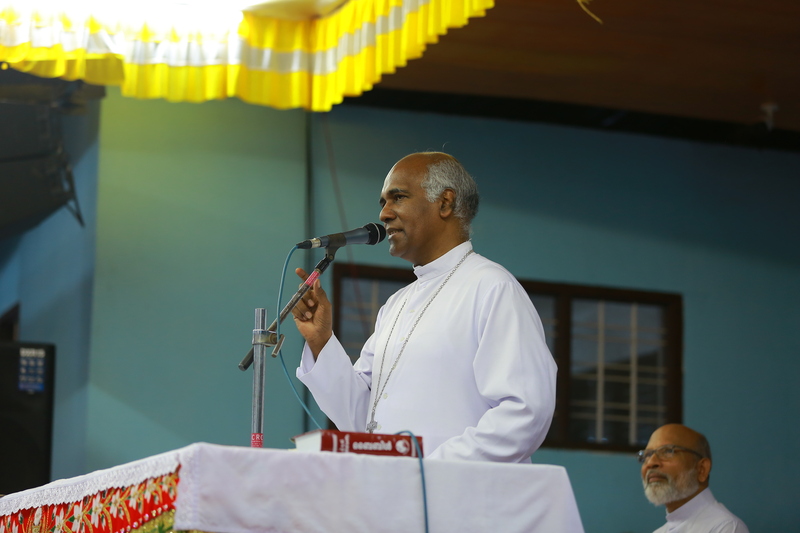 Thaddeus Aravindath was then appointed as the Director of Chittoor Retreat Centre. Later on the Archbishop appointed Fr. 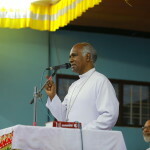 Jose Uppani as the Director of Chittoor Retreat Centre and the Centre After he was transferred, Fr. Job Kuttungal took up his place. 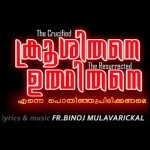 Joseph Thamarampilly followed as the next Director. Then in 2014, Fr. Jose Uppani was again appointed as the Director. Fr. 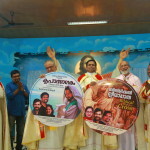 Jaison Koluthuvally and Fr. Joby Pulickal are the present Assistant Directors. Fr. Davis Chirapanath helps. 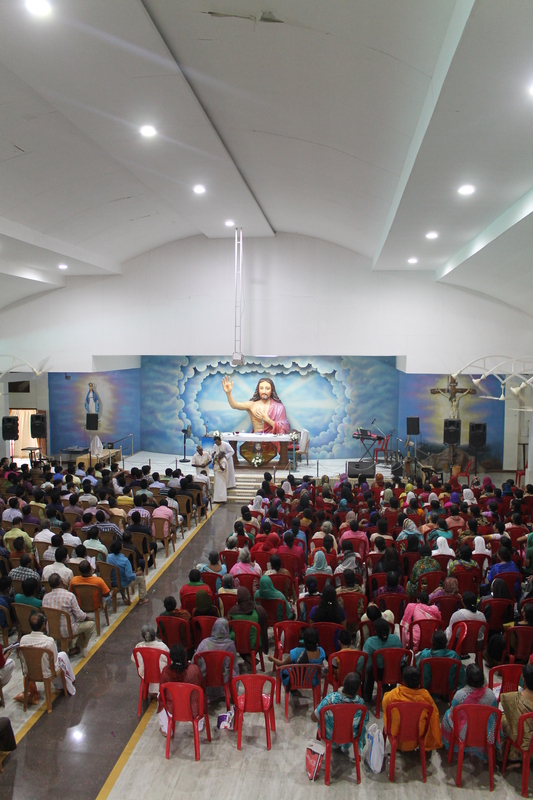 A group of fifty volunteers (preshithar) work hard to run this God-favoured institute. 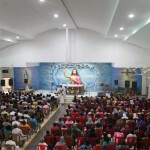 Chittoor Retreat Centre has developed into a self-sustaining institution, capable of accommodating up to two thousand people who seek divine solace by attending its Inner Healing Retreats, Abide and other special retreats. Every source of sins and powers of darkness demolishes in front of this Word of God. We invite you all for feeling the everlasting love of God. It is a matter of real Joy that Chittoor Dhayanakendram is able to help thousands of people to find Joy. 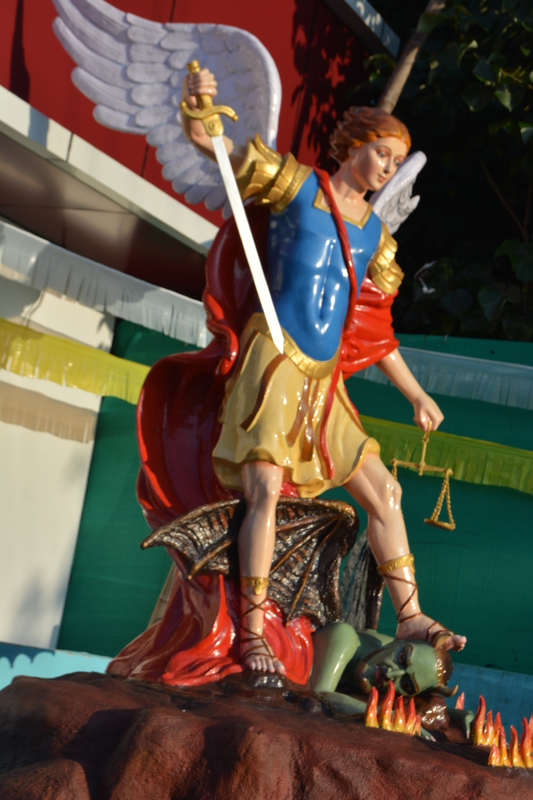 May the Dyanakendram teach to surrender their lives to Christ. God bestows His blessings without discrimination. The followers of Jesus are children of God, and they should manifest the family likeness by doing good to all. God waits for you to communicate with Him. No matter what storm you face, you need to know that God loves you. He has not abandoned you. It is thorough life-changing program. It sets men and women free from all bondages. It heals all the wounds of the inner self. It makes people fit for dealing with any challenges of life. It fills life with unending joy and peace. 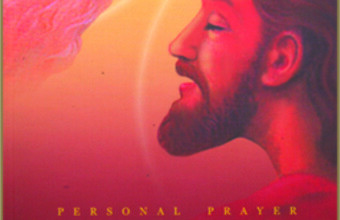 People of all ages can attend this four full days retreat. Time: Every Friday 5 pm to Wednesday 8am. This is a one-day retreat for those who are not able to attend a week’s retreat since it is a fasting prayer it is very powerful and numerous miracles takes place at react Friday service . The time is from 9 a.m. to 3 p.m. It is a special call to be with Him and to receive the blessings which He showers upon us. Surely these fasting hours make one strong in prayer and enable one to be closer to God. 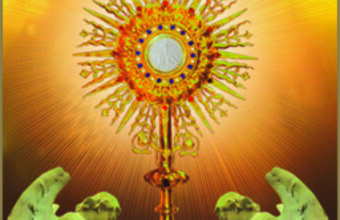 It includes Holy Rosary, Holy mass, Confession, Talks by renowned preachers, Adoration, Intercessory prayer etc. ABIDE is a life changing retreat solely for the youth which has created ripples in the hearts of thousands. 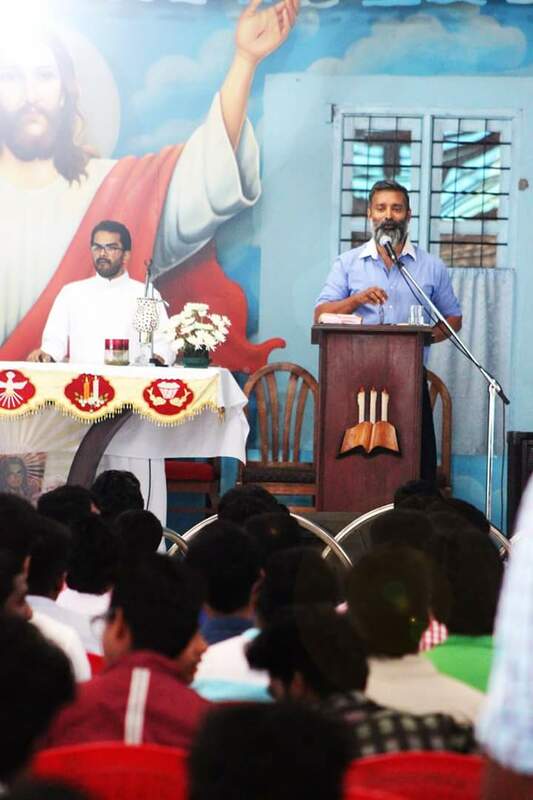 It is a powerful and intense spiritual exercise for the youth based on the Sacred Scripture and the Sacred Tradition of the Church. It is no wonder that there is such a spirit-filled anointing in the ABIDE. 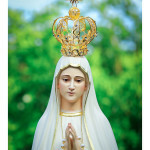 The Immaculate Virgin Mary’s presence is filled and experienced by one and all especially at the blessed grotto, where many have been healed. What is special about ABIDE? 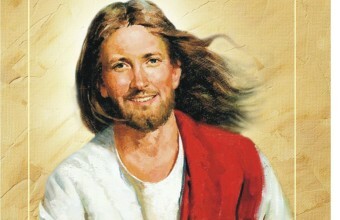 ABIDE is a true encounter with Christ. Every youth testify that they fall in love with Christ as a result of ABIDE. It has a tremendous impact on the youth of today and its fragrance is spreading like wild-fire. There are also regular growth retreats like ‘ABIDE INTERCESSION’ and ‘ABIDE FIRE’ which empower the youth to grow in their spiritual life and to be strongly rooted in their faith. 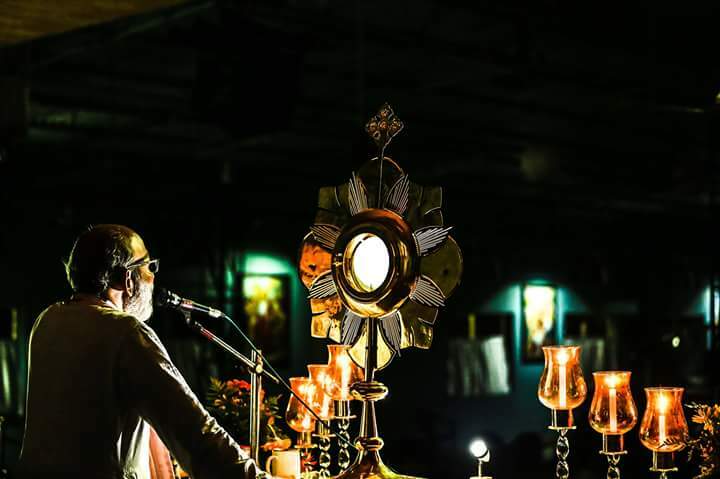 Abide is like a spiritual fest with mighty Worship Sessions, Powerful Preaching of the inspired Word of God, Solemn Celebrations of the Liturgy, Effective Reception of the sacraments, Sharing of personal testimonies, Vibrant music ministry and Visual presentations etc. Youth come from far and wide to attend ABIDE and they are alike in one aspect, they all experience God’s unconditional love and make a firm decision to be His. 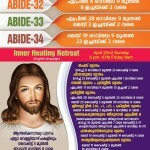 To help the zealous ABIDERS to grow, there are weekly night vigils, monthly one-day retreats called ‘ABIDE Power Conference’ (follow-up sessions) and Home Missions on most Sundays. Home Missions have proven to have an immense impact on youth, because when families see zealous youth who strive for holiness, it creates a seraphic love in their hearts for the crucified Christ. ABIDE is a liberating spiritual experience and as a result many youth have quit smoking, put an end to drugs & alcohol, and said a strong “No” to the promiscuous life. In the recent ABIDES very unusual manifestations of the work of God are seen. Some of the youth who were secretly involved in satanic worship and occult practices gave public testimonies in tears about their conversion by surrendering the “black” stuff at the foot of the cross. Many of the youth have proven to be powerful witnesses to God’s love and works as volunteers for the subsequent retreats, toiling day and night with an undying thirst to save souls. It is indeed an en-livening for the retreat-ants to see other zealous youth working hard. The volunteers who are also youth do all types of jobs from cleaning toilets to giving testimonies. 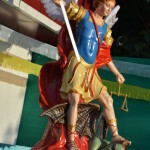 Chittoor also hosts Christeen retreats for those children who are 12 or below 12 years of age (or up to 7th standard). Christeen retreats are conducted to have a personal experience of Christ and teach children the basic Christian and moral values and to instil in them a desire to be a true Christian. In this retreat the children pray together and pray for their families as well. It is indeed inspiring to see small children give great testimonies. Moreover, to make it convenient, this retreat is conducted primarily during school holidays. This is a blissful retreat that is meant for those aged between 13 and 17 years of age. Teenagers enjoy the retreat because they do experience an encounter with Jesus Christ and the person of the Holy Spirit which leads them to greater joy and meaning in their life. The Holy Spirit enables them to realize the innumerable capabilities in them and activates them for the realization of life’s fulfillment. 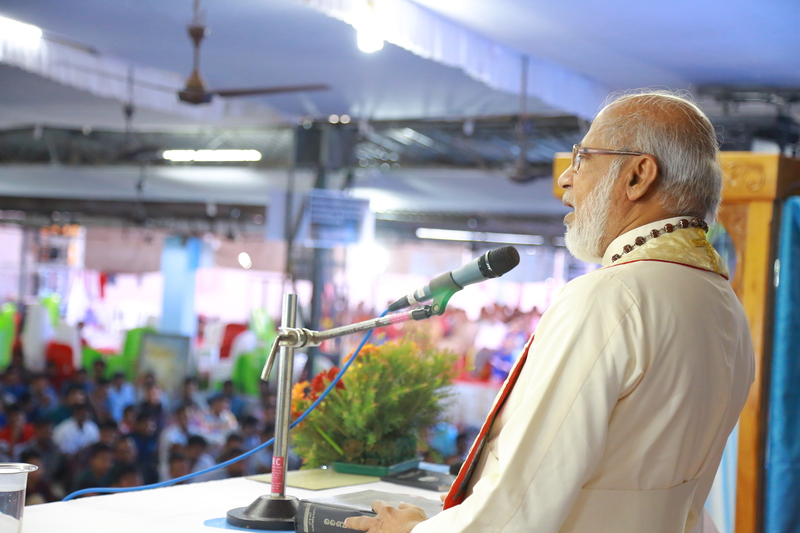 Today’s youth are tomorrow’s future and it is essential that we give them due importance and help nurture their spiritual and moral values. “Arise, cry out in the night, in the beginning of the Watches! Pour out your heart like water before the presence of the Lord” (Lament 2:19). 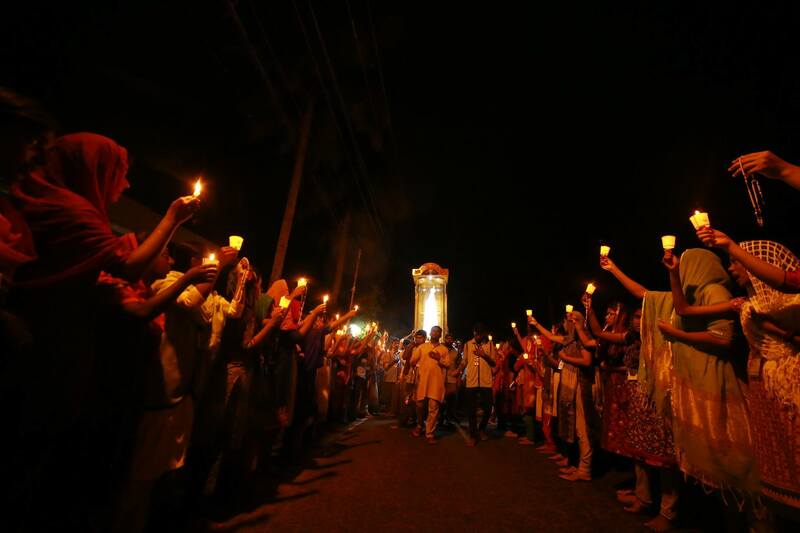 Every Friday night there is a vigil prayer service at Chittoor Retreat Centre As this is a prayer of sacrifice (By giving up the night sleep) it is very powerful and it yields great fruits hundreds of people attend this prayer regular. For them prayer is like a spiritual food for an entire week. It helps people keep on going amidst the many trials and sufferings of life. At this prayer, the whole world is lifted up in prayer. 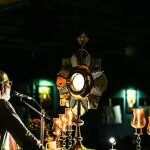 In the still silence of the night, we offer before the Blessed Sacrament all the prayer intentions coming to us through post, phone, e-mail and fax. 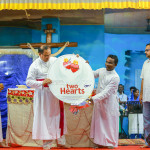 This Service comprises of a Rosary, Praise and Worship, Confession, Holy Mass, Adoration of the Blessed Sacrament etc… Wherever you are at that time on that day, if you keep vigil with Chittoor and join in the prayers of Chittoor, you shall certainly be blessed by God. 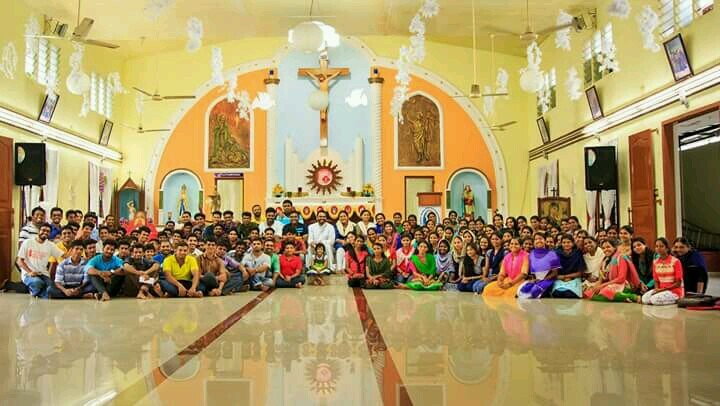 A big number of young people who attended the ABIDE Youth Retreats enthusiastically come to Chittoor Retreat Centre at every Saturday evening to pray and worship the Lord. The members of this prayer group grow as a thick family and support each other in their faith journey. Most of them are regular participants of the prayer. 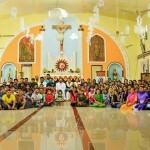 Actually it is this group who do everything in organizing and coordinating the regular ABIDE Retreats. In the Jericho Prayers a group of believers come together to pray every Sunday night. They walk around the Blessed Retreat Centre asking God to bless the Retreat Centre and bestow his grace and anointing on all who are part of this spiritual movement. Chittoor Retreat Centre is always ready to help others with their intercessory prayers forever before the Lord Almighty. A full time intercession ministry of the dedicated devout keep on praying for various needs of people from all walks of life in addition to interceding for the retreats. This ministry has been really fruitful as we have been receiving plenty of inspiring testimonies from people who have been blessed through the prayers. Chittoor has a team of trained leaders who dedicate their time to interact with people individually to find out solutions for various problems of life. The leaders take enough time and listen to the problems of the retreatants and to understand their miseries. 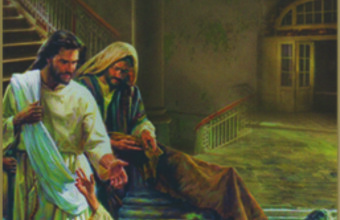 They help the retreatants to receive a spiritual guidance according to the Will of God. A famous theologian once said ‘I have seen more healings take place in the confessional hall than in any other place’. 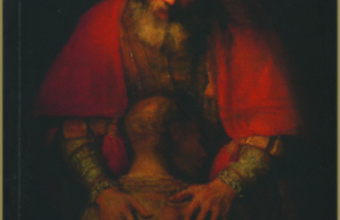 Confession purges our soul from impurity and frees us from sinful bondages. A good confession prepares a person for inner healing and the abundant infilling of the Holy Spirit. In this Retreat Centre confession service is available everyday. The Retreat Centre is willing to conduct retreats based on the request of parishes, schools and colleges at their premises. There are certain requirements that need to be met for the smooth running of the retreats. Please contact the office for more details. Contact Retreat Centre office in person to book the date. Start praying at every home in preparation for the retreat, preferably three months before the retreat. 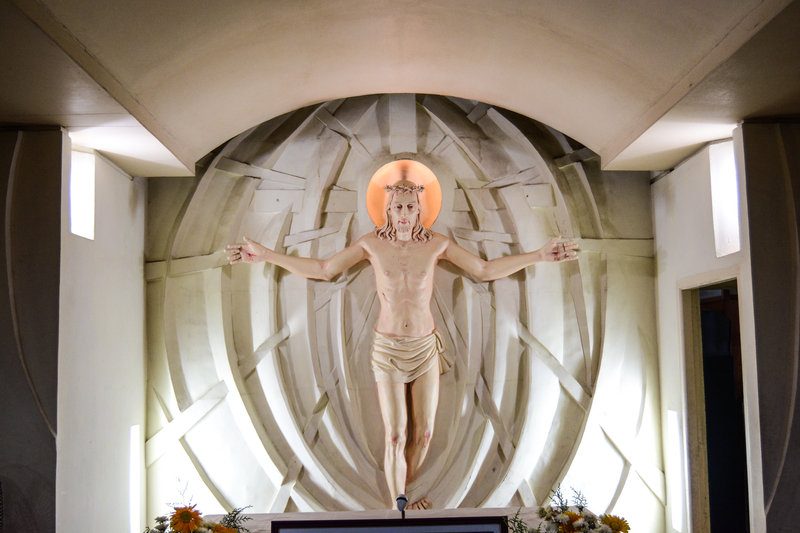 The retreat confession will be on the fourth day during the day-time sufficient confessors are to be arranged. The organizing committees try to accommodate everybody for a good participation. If the participants need personal spiritual sharing, that is to be informed prior to the retreat so that arrangements can be done. This is a two year long course for those who are interested in preaching the Word of God as well as providing efficient spiritual sharing. 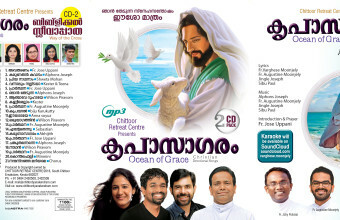 People from all parts of Kerala attend this course once a month over a period of 2 days commencing on the second Saturday. For this course priestly scholars lecture on relevant topics. Exams are conducted systematically and on completion a certificate will be given. This course will be completed by October 2017. This retreat is conducted specifically for couples to help them to follow Christ’s teachings in the family. 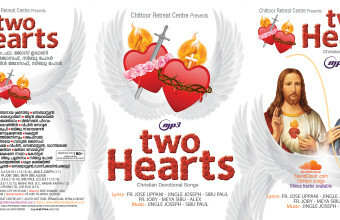 This retreat helps couples to forgive one another and to love each other the most after God. Now there is a Couple’s Ministry with follow-ups every month. This retreat is preached by Bishops, priests and other experts in different branches of theology faculties. People are given authentic knowledge of the teachings of the Church and other ecclesiastical doctrines in the context of a camp-retreat. The focus of this retreat is to stay rooted in the Catholic faith to understand the teachings of the Church and become defenders of true Catholic faith. This retreat is very relevant at this time of so many heresies and sects which teach wrong doctrines and mislead even good Christians. This 10 day long retreat, preceding the Pentacost, is conducted to receive the anointing of the Holy Spirit in its fullness. The teachings are in depth and there are special prayers for receiving the fruits and gifts of the Holy Spirit. 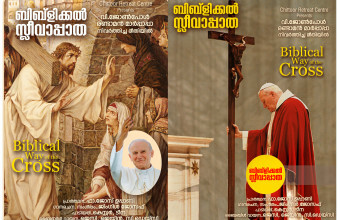 Jeevaraksha at Ernakulam co-ordinates all our activities ranging from publications to outside programmes. Jeevaraksha office consists of a dedicate team of 25 members who provide sincere and committed service. The Editorial section, Graphics division and the circulation wing plays major role in the successful running of the publications. 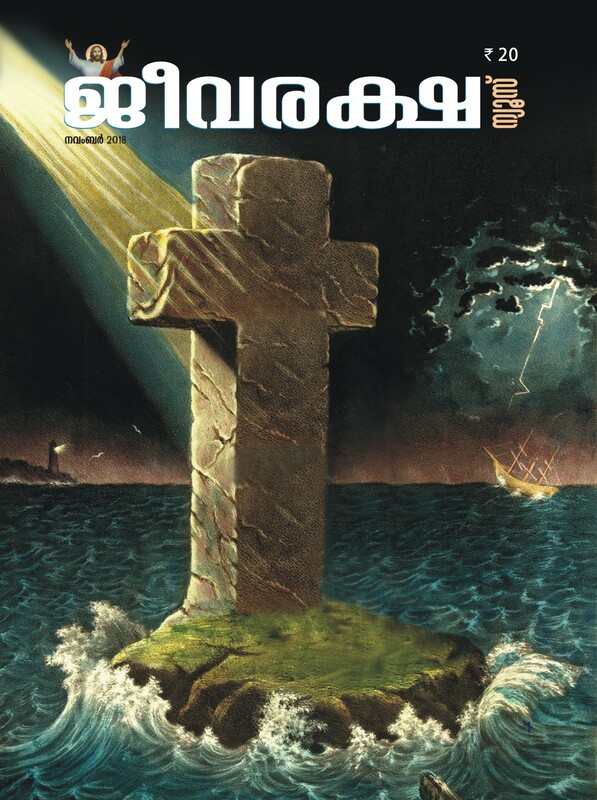 It is a monthly magazine published to spread the Gospel around country among thousands of people. 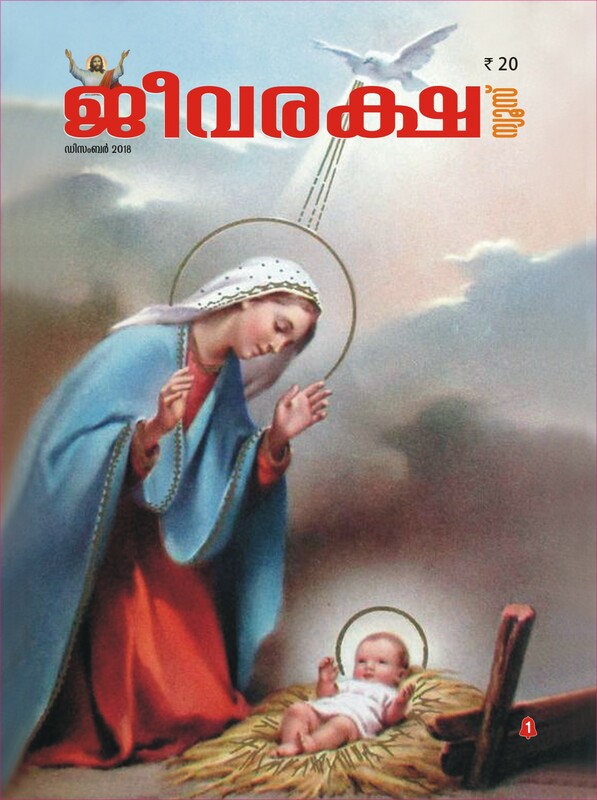 It is a spiritually nourishing magazine which inspires many to survive amidst their problems and it builds up spiritual life of many, hundreds of people testify that even by a partial reading of the magazine they got their life back. 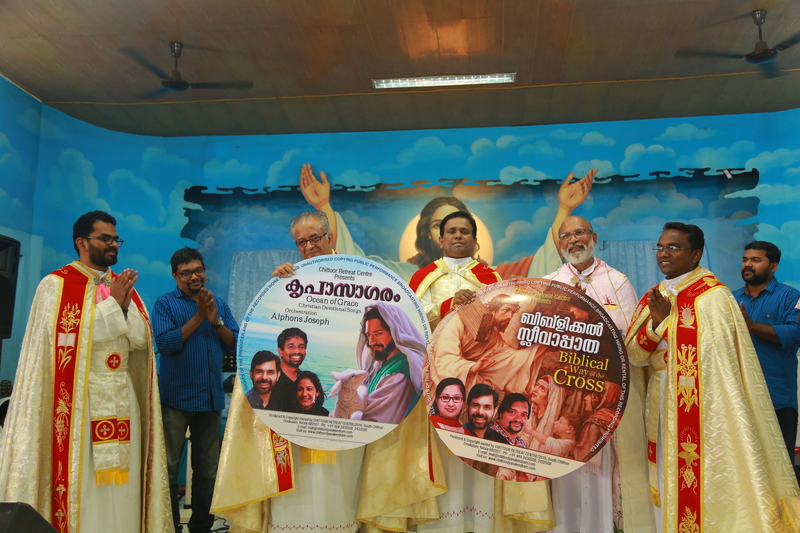 Hundreds of people are very enthusiastic in propagating this magazine by distributing them at houses, hospitals, apartments, etc…They do it by their own initiatives because the Lord rewards them so abundantly. The Jeevaraksha office hosts a dedicated team of 25 members who provide sincere and committed service. The Editorial section, Graphics division and the Circulation wing play a major role in the successful running of the publications. 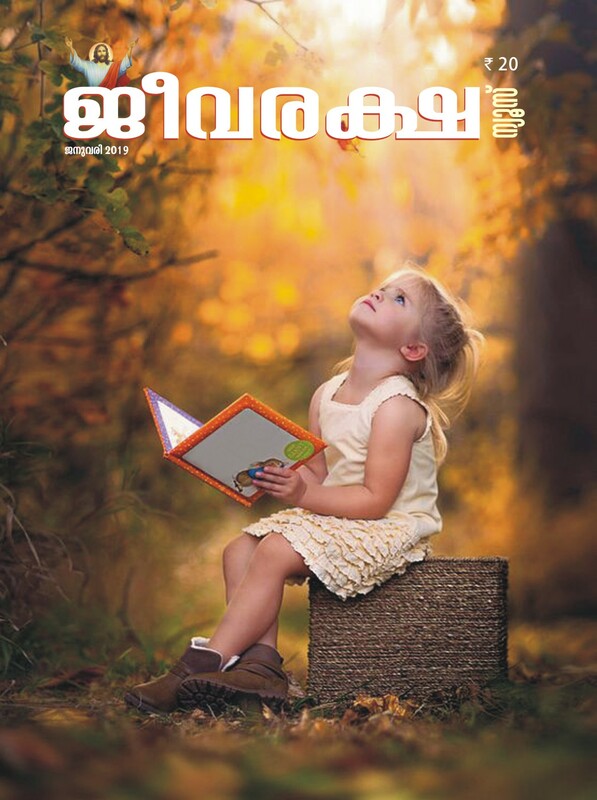 The office Managing Editor, who heads the accounts and administration departments, supervises all the activities in the office, which include communications, correspondences etc… Today, “Jeevaraksha” grows everyday with 35,000 copies all over the world. You can pay amount through M.O or directly to the Office. I was blessed to attend Abide 23 and it was literally a life changing experience. Your perspective, priorities, personality and the whole world changes before you. 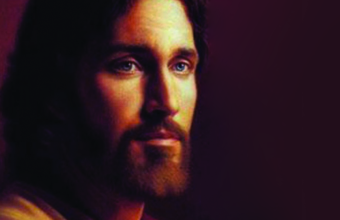 You receive and experience Jesus’ immense love, peace and healing in all aspects. You will wish to abide in Him as He wishes to abide in you. You will be able to spread His joy and love with all those around you. I strongly and highly recommend all youth to participate in this programme. Inner Healing Retreat in English starts on 2018 July 12th Thursday 5pm to July 17th Tuesday 9am. 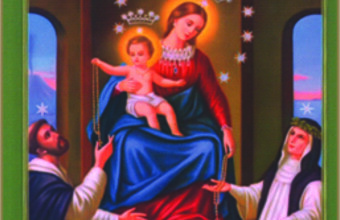 Prayers to the Virgin Mary are important to those of the Catholic faith. Her gentle, compassionate love is available to anyone of any faith. 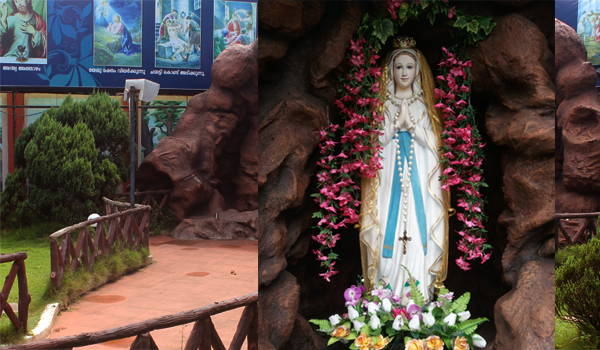 The Grotto of the Blessed Virgin Mary at Chittoor is a blessed site indeed. 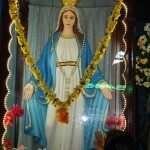 Many people have said that they can feel Mother Mary’s graceful presence here. There have been a lot of healings of various infirmities, sickness and other incurable diseases, even cancer. Mother Mary plays an essential role in a Catholic’s life and she should be given an important place in our hearts. 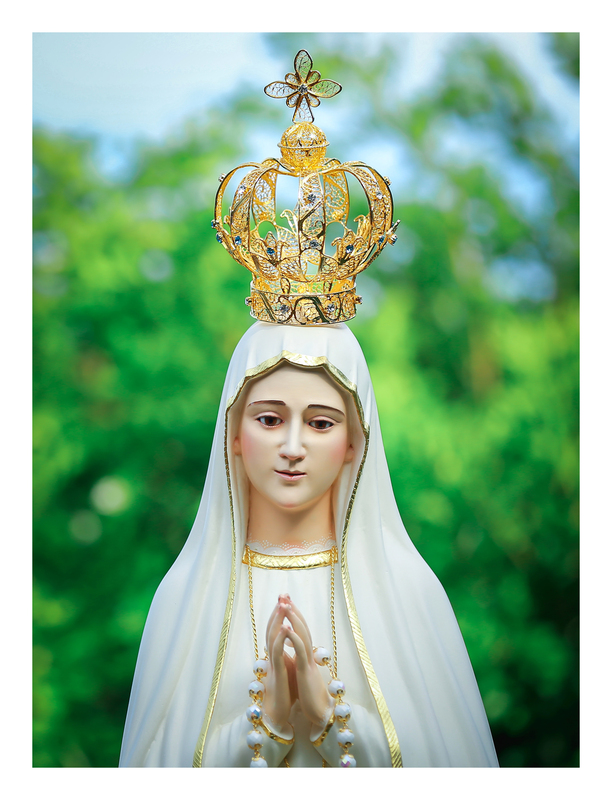 Many of the retreatants have witnessed to experiences of miraculous healing after drinking the blessed water from the grotto and reciting the rosary in front of the Blessed Virgin Mary. 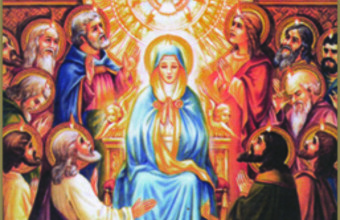 Remember, O most gracious Virgin Mary, that never was it known that anyone who fled to your protection, implored your help or sought your intercession, was left unaided. 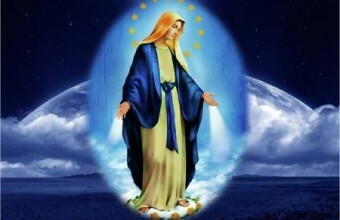 Inspired by this confidence, I fly unto you, O Virgin of virgins, my Mother. 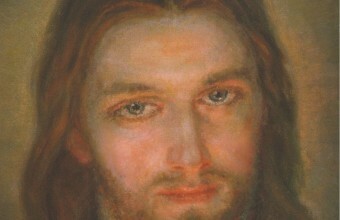 To you I come, before you I stand, sinful and sorrowful. 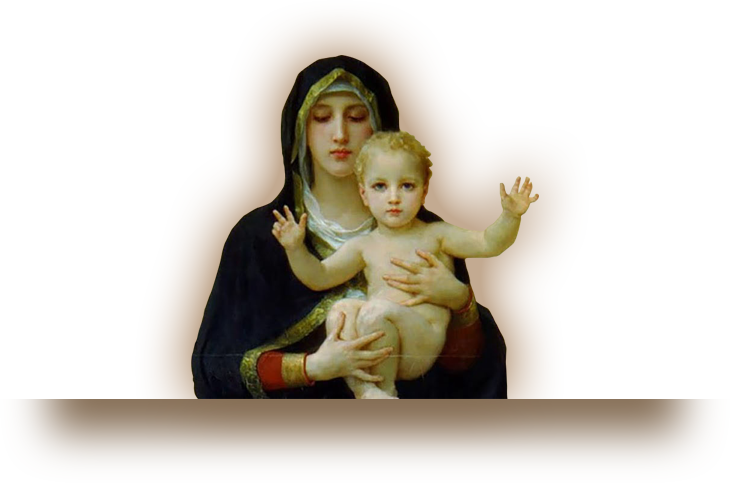 O Mother of the Word incarnate, despise not my petitions, but, in your mercy, hear and answer me. Amen. Together, let us pray for the needs of our brothers and sisters. We remember Your intentions in our daily prayers. Copyright © 2017 Chittoor Retreat Centre. All Rights Reserved.